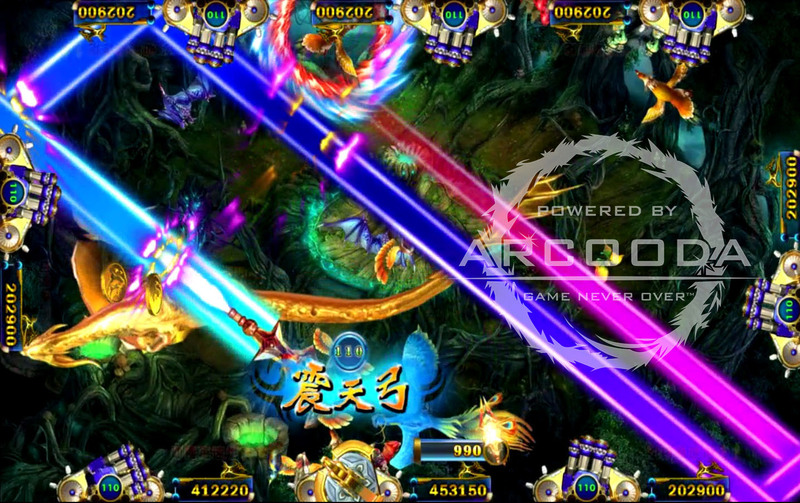 Hunters looking to play a fish game with a difference can gear up with the sequel to Mystic Dragon in Mystic Dragon 2 – 6 player. 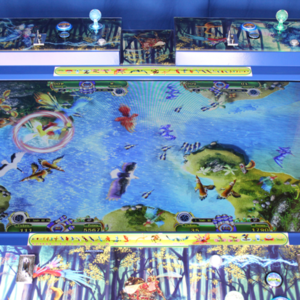 Mystic Dragon 2 – 6 player allows players to emerge from the seas and, instead of hunting for ocean creatures, hunt for bugs, birds and dragons in the skies over forests, mountains and seascapes. 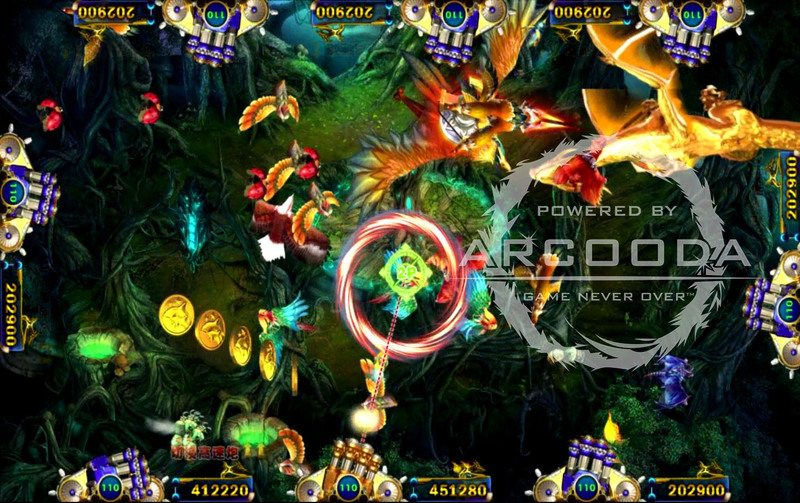 Some notable features of Mystic Dragon 2 – 6 player include: new characters – instead of fish hunt bugs, birds and dragons; new in-game features; all new and vibrant game scenery – look over forests and beaches; new backing soundtrack during gameplay; unique settings for game owners. 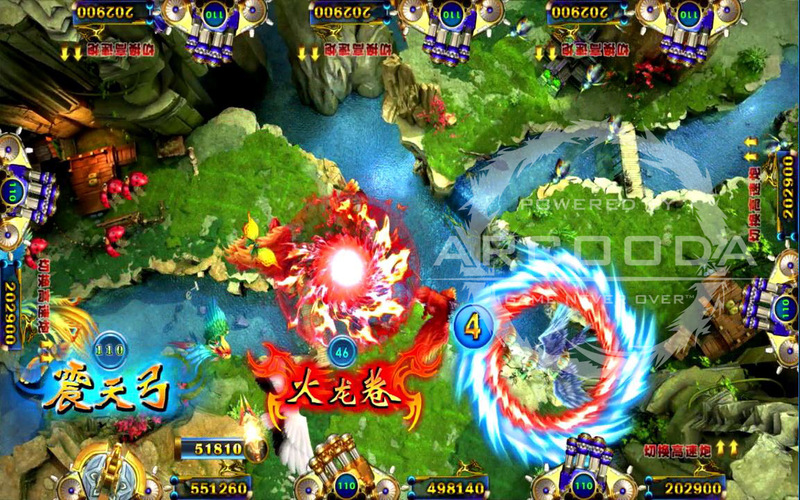 Mystic Dragon 2 – 6 player is available in Chinese Version for Asian market and in English Version for western market. The aim of the game is for players to use their guns to catch as many bugs, birds and dragons as possible within the timeframe of the game. Up to six hunters can play Mystic Dragon at any one time. 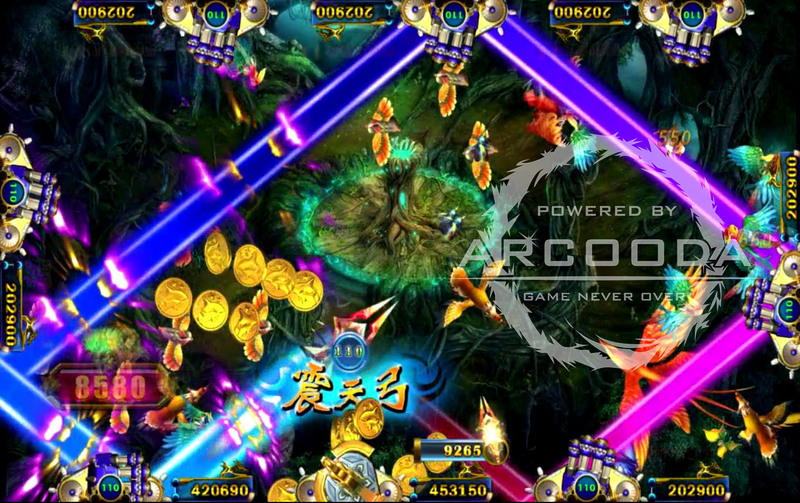 In Mystic Dragon 2 – 6 player there are 21 characters to catch, all of which are worth different point values. Players increase their scores by the number and value of characters they shoot during games. 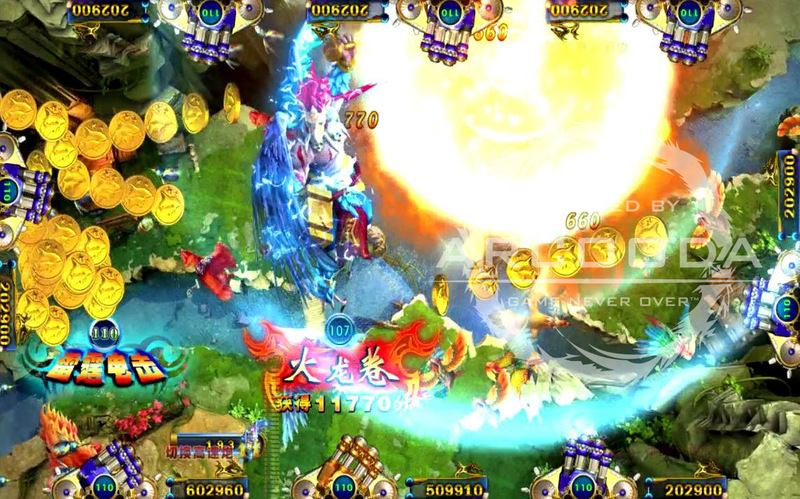 The main Mystic Dragon 2 – 6 player gameplay is layered with features. 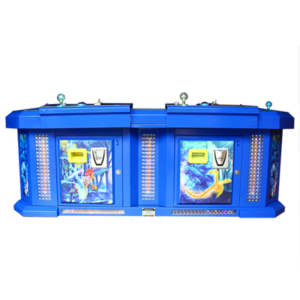 These are important to use as they give players a higher chance to earn more points and in turn, the potential to earn more winnings. 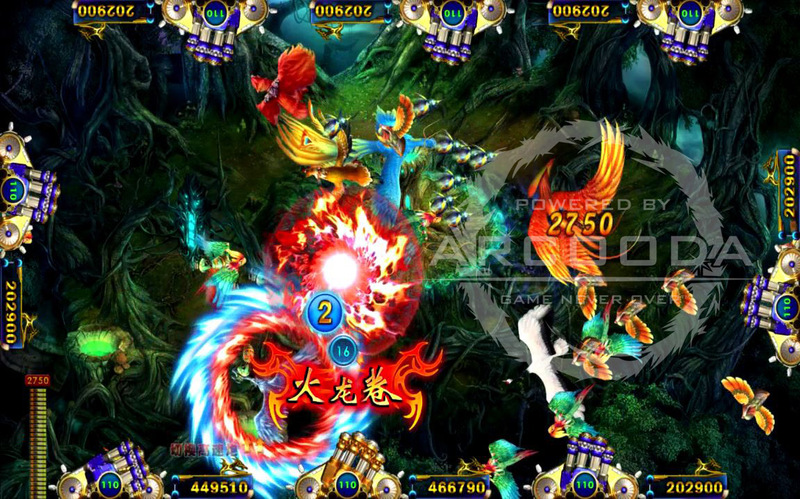 A number of features are available to gamers while playing Mystic Dragon 2 including Thunder Roc, Chain Link, Fire Dragon, Dragons Arrow and Tornado. When a player shoots a bird carrying a Dragon’s Arrow, it activates the feature. There are two birds that carry Dragon’s Arrow. When a player shoots a Dragon’s Arrow bird, that player is granted a special gun that shoots a projectile, like a rocket. 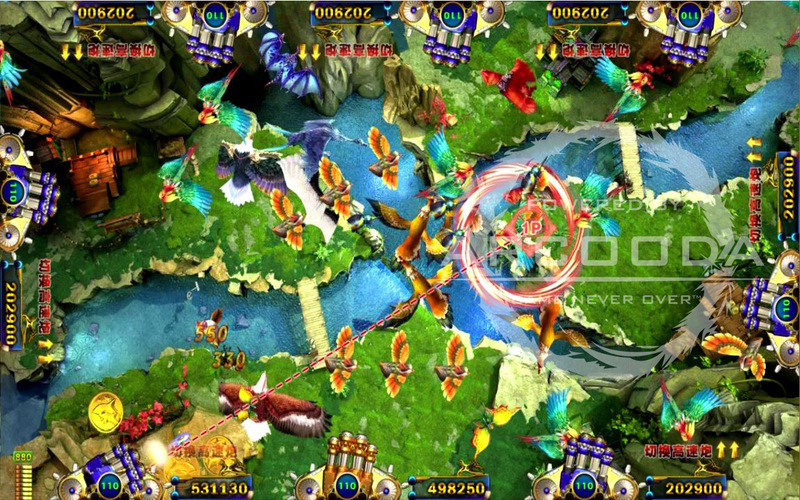 The projectile zooms around the screen killing characters in its path. The player that activated the feature earns the points from the characters killed during the Super Weapon feature. 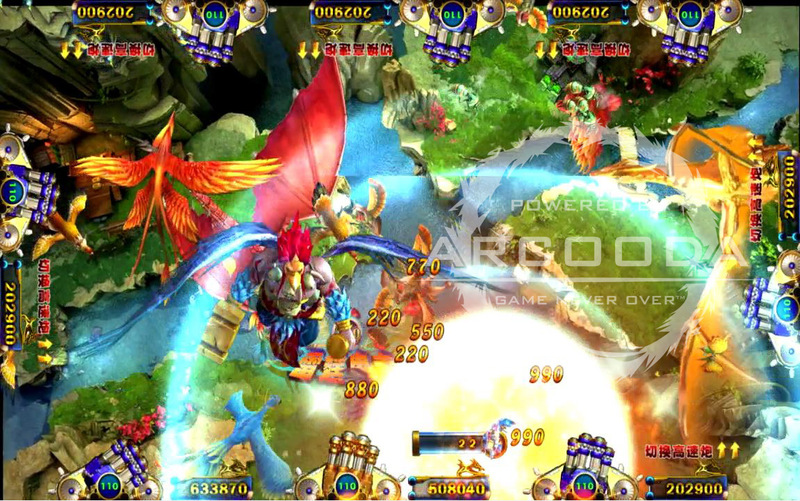 The Thunder Roc feature is activated when a player shoots the icon – a bird carrying a hammer. When activated, this character shoots lightening down and across the screen killing characters flying around. Points from the dead characters are awarded to the player that activated the Thunder Roc feature. The Chain Link icon appears circled around a character. When this character is shot, the feature is activated. The encircled character links to other characters. They, too, are encircled until the feature times out. 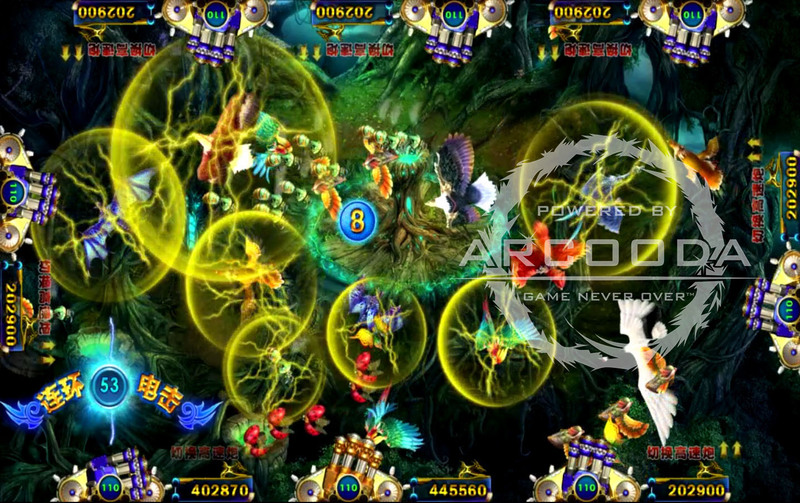 The characters encircled during the feature are killed and the points are awarded to the player that activated the Chain Link feature. 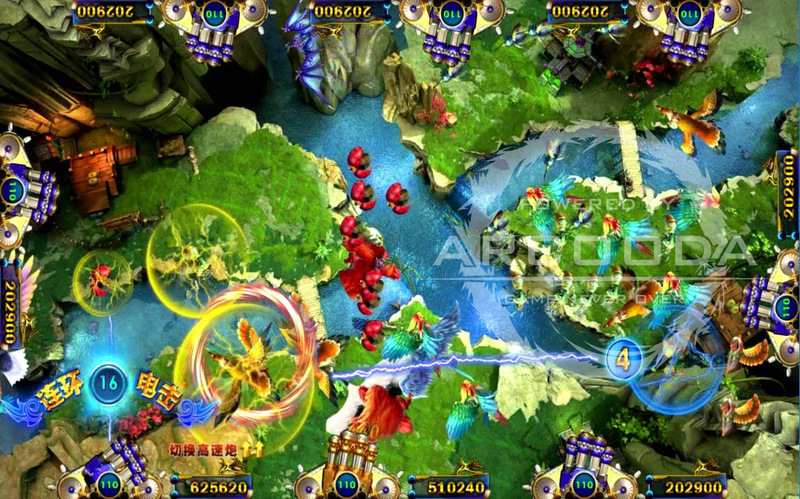 Like the Tornado feature, when a character encircled by the Fire Dragon icon is shot, it creates a vortex and characters are sucked into it. However, the Fire Dragon vortex is stronger, and pulls in larger and more characters. 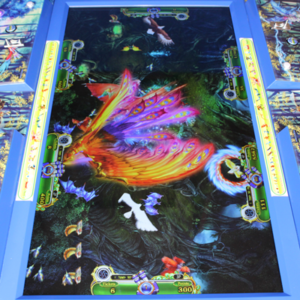 Points for the characters sucked into the vortex are awarded to the player that activated the Fire Dragon feature. There are 21 characters in Mystic Dragon, including three ‘boss’ characters that are worth more points when you shoot them. The game’s four bug characters are worth the lowest amount of points, followed by the 11 kinds of birds and then dragons. There are five dragon characters for players to hunt, including the Mystic Dragon, and a Queen Bee. 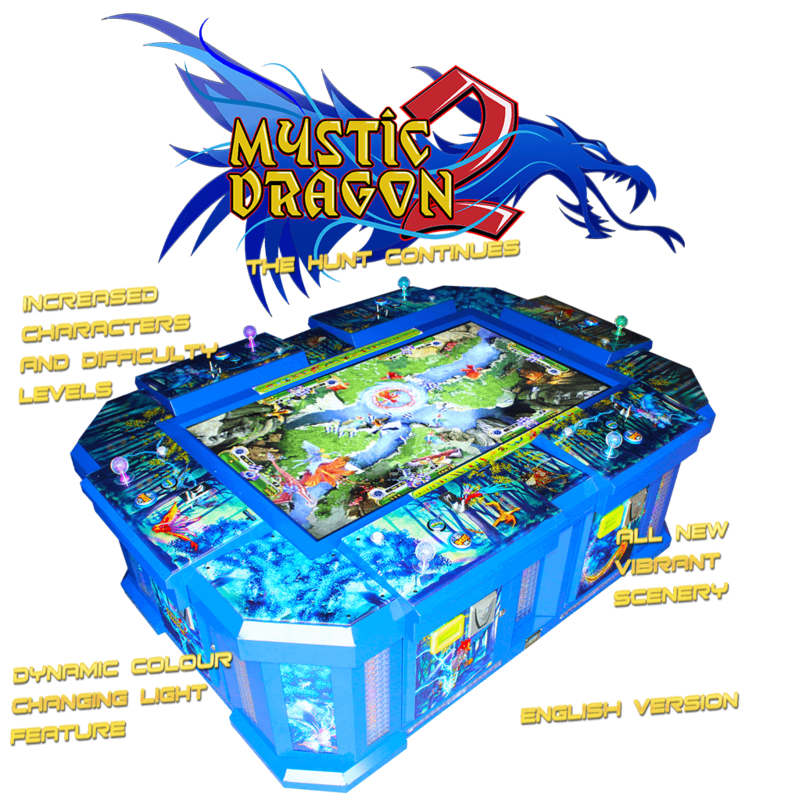 The Mystic Dragon is the ultimate prize, and worth the highest amount of points. Scarab, Ladybug, Wasp, Butterfly, Sparrow, Parrot, Yellow Bird, Bat, Firebird, Vulture, White Bird, Eagle, Hawk, Peacock, Phoenix, Small Dragon, Red Dragon, Gold Dragon, Queen Bee, Blue Dragon and Mystic Dragon. 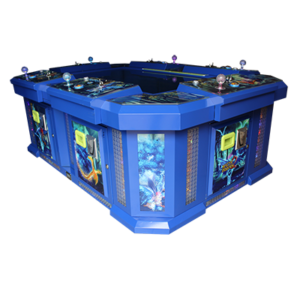 Mystic Dragon 2 software is available to buy on its own in the 6 player version or Mystic Dragon 8 Playerversion or can be shipped with Arcooda’s six or eight-player fish machine.